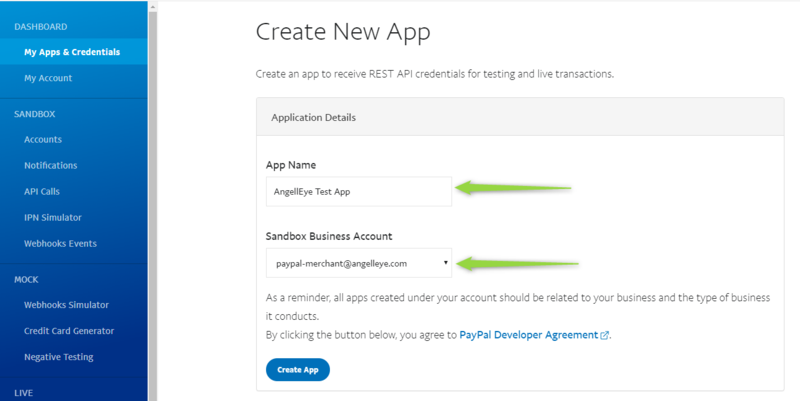 To work with PayPal’s REST API environment, developers need to create a REST API app inside their PayPal developer account. 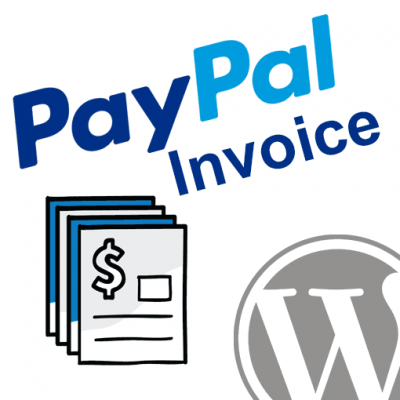 Developers can create, edit, and manage multiple PayPal apps. In each app, you may select the specific PayPal capabilities you want to offer to your customers. 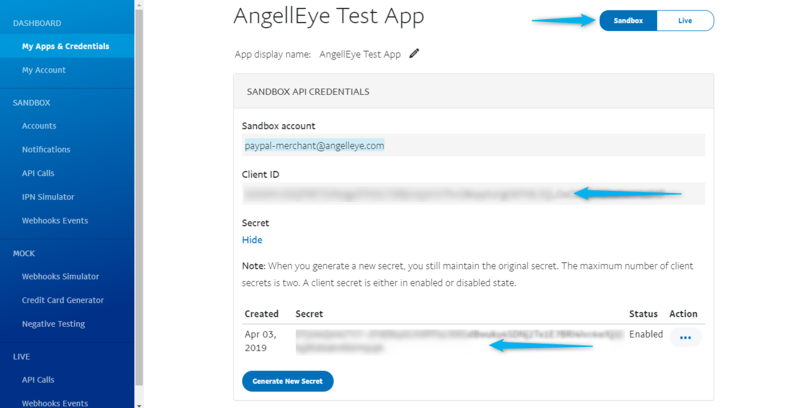 Every app gets a unique set of live and sandbox API credentials. 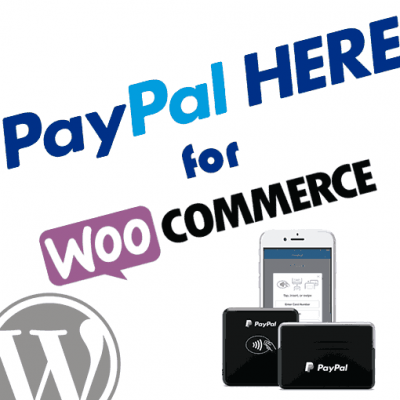 Let’s see step by step how to build a PayPal app for use with the REST APIs. To access PayPal Developer site, you must have a PayPal business account. If you don’t have an account then create one first. After you create a PayPal account, you can use this account to login to the PayPal Developer site as outlined below. 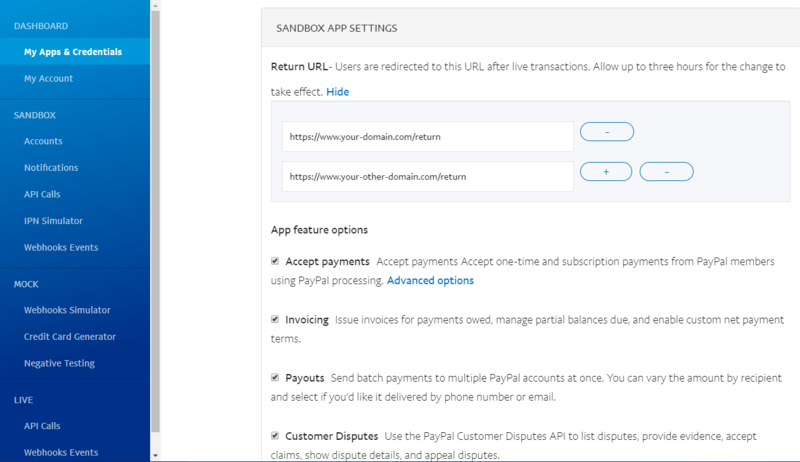 You will need to create a PayPal sandbox account so that you can link it to your PayPal app. 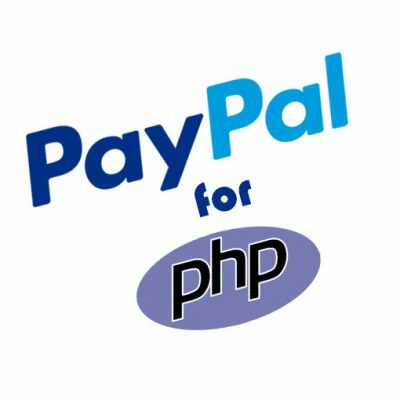 Go to PayPal’s Developer site at https://developer.paypal.com/ and login with your PayPal business account email and password. After login, you can see list of functionalities provided for developers in PayPal. You will see a list of REST PayPal Apps and a Create App button. In this example, I have one app created already called PayPal Plus. To create a new app, click the Create App button. Add an App Name, select a sandbox account from Sandbox Business Account, and then click on Create App. 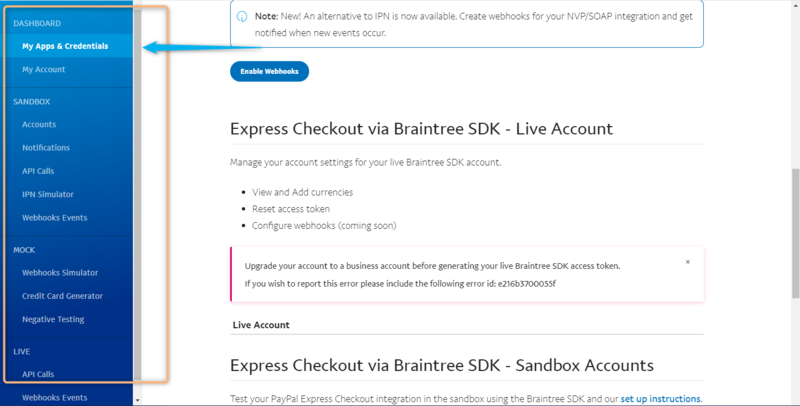 When you create your REST app, PayPal assigns default Sandbox client credentials and Live client credentials to your app. You can view each of these by clicking the Sandbox or Live settings toggle in the top right of the app settings page. If you don’t want default credentials then you can also generate your own. Copy and save the Client ID and Secret for your Sandbox/Live app. You may come back here at any time to obtain the values. You can define your application settings like adding a Return URL and feature options like Invoicing, Login with PayPal, PayPal Here, Payouts, Customer Disputes, Accepting Payments. 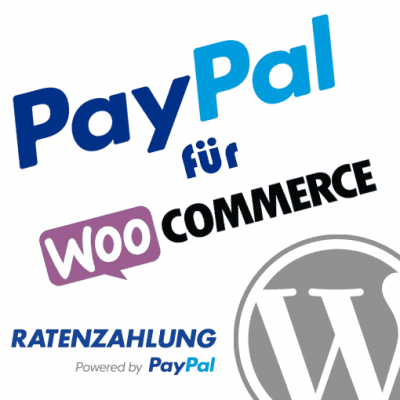 Return URL : The URL to which you redirect buyers from the PayPal website. The test return URL can be different from the live return URL. Accept Payments : Accept one-time and/or subscription payments from PayPal account holders. To configure this option, click Advanced Options. For a live app to accept PayPal payments, you must have a PayPal business account. Invoicing : Issue invoices for and manage balances and enable custom net payment terms. 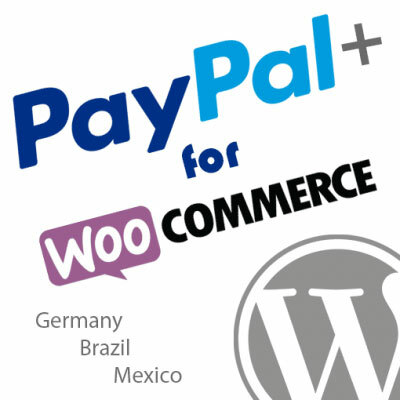 Payouts : Send batch payments to multiple PayPal accounts at once. You can vary the amount by recipient and deliver payments by phone number or email. PayPal Here. Process swiped/card-present card transactions. To develop a custom PayPal Here app, use the PayPal Here SDK. Connect with PayPal. Enable your customers to use their PayPal login for account management on your website or application. 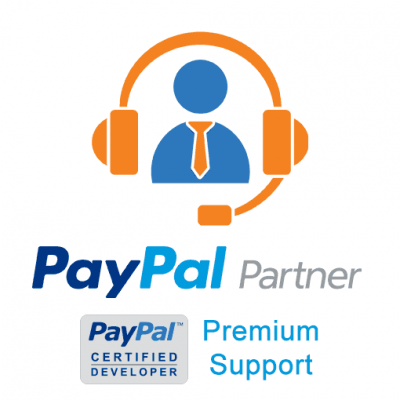 Now that you have created your PayPal app with REST API credentials and necessary features enabled, you are ready to follow any of our other PayPal tutorials that require a PayPal app for development.